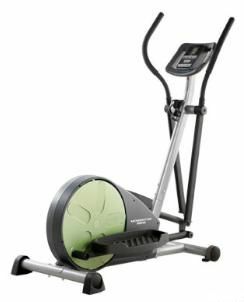 The Weslo Momentum 220X elliptical is for those people on a budget who don’t want to spend an arm and a leg on a home fitness gym, especially when they aren’t in the habit of exercising and have doubts that they stick with a program. But fitness equipment is not cheap and you should never scrimp on price. Otherwise, you’ll get stuck with a heavy piece of junk -- like this machine -- to haul out for the trash guys to pick up. Experts point out that the Weslo Momentum 220X elliptical has every typical problem of a low-end machine: the frame stability is poor, the warranty is ridiculously short, it’s noisy, it’s unreliable, and it usually starts giving off a clicking sound or begins to squeak within weeks of purchase. The Weslo Momentum 220X is the type of machine that consumers tend to try and fix with a can of WD-40 with limited results. These low cost units squeak badly and the bolts need to be tightened often by people who try to ride them daily. You might, in fact, come across some positive Weslo elliptical reviews for this model, but keep in mind that these people are posting their thoughts after only a few days, or weeks, of use. They should have waited with their opinions until the machine was broken in, because once this trainer shows signs of wear within 2 to 6 months, they are sorry they bought one. The $299 Weslo Momentum 220X elliptical looks cheap, feels cheap, and sounds cheap. We can’t recommend this headache of a machine for anyone, not for themselves or to give to someone else as a gift. With gym fees costing only $30-$50 a month, you’d be better off getting a six-month membership and getting in shape that way.